Tom's done it again. Click on the olive jar's label to find out about his latest addition of fun to the world wide web. 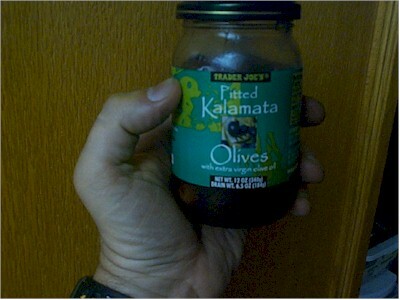 This is one of my favorite salad toppings lately, Kalamata olives from Greece. I typically don't use salad dressing, and usually enjoy the taste of each item in the mix, but a little zip is sometimes nice and a few of these make the salad much more enjoyable.